If you have an event that you would like to have added to the calendar, please email all event details to birthingbabes@gmail.com. Must be a professional member to post and event. Please visit our facebook page for up to date postings of birth related events. 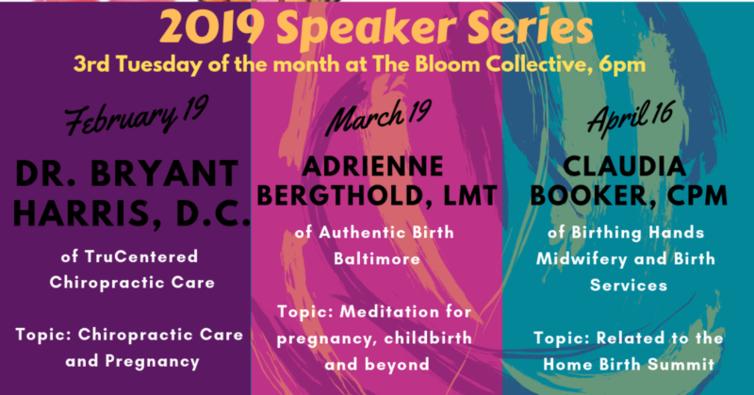 The Maryland Birth Network hosts several birthy events throught the year. Our Spring Event is Bellies in Bloom - a preggo party where over 100 pregnant women gather to celebrate life! Belly dancing, mama mojitos, belly painting, local vendors and lots of great give-aways. This free event is usually the last Friday in April. Our Fall Event is Birth, Bellies and Babies Expo where hundreds of families gather to learn about their birthing options, take informative workshops and network with local birth resources from midwives to nannies. This free event is usually the 3rd Sunday in September. We also host monthly networking events for those interested in learning more about local birth resources.